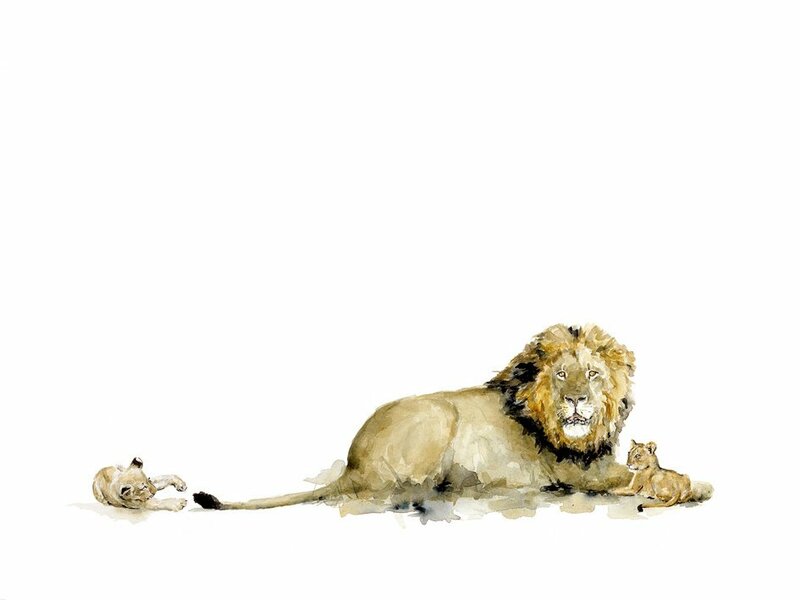 Limited edition giclée fine art wildlife prints in various sizes, on paper or canvas. 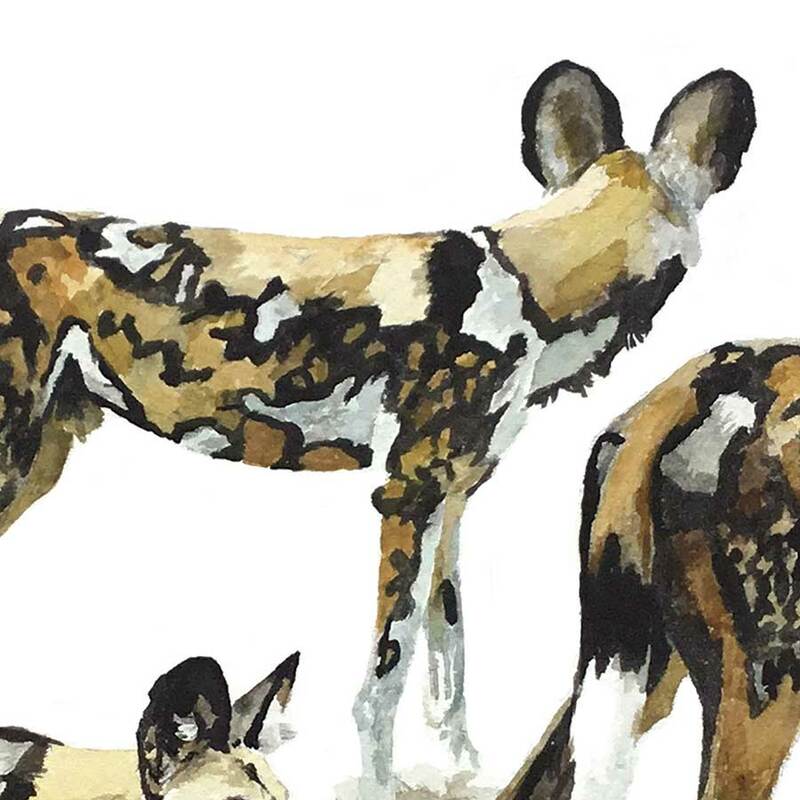 Art Print of Wild Dogs. 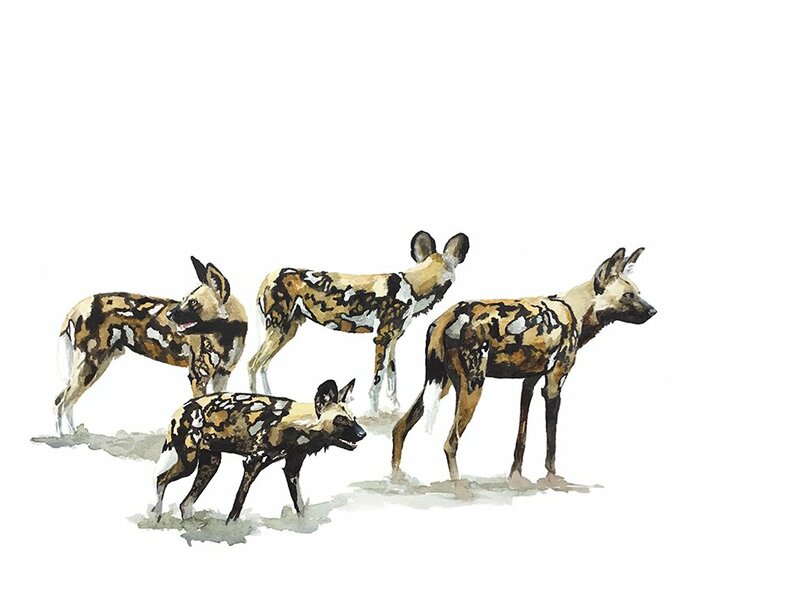 This limited edition giclée wildlife print of wild dogs is available in different sizes. Also, the wildlife animal art prints can be ordered on canvas or paper. Consequently, limited edition prints can be purchased to suit your needs. 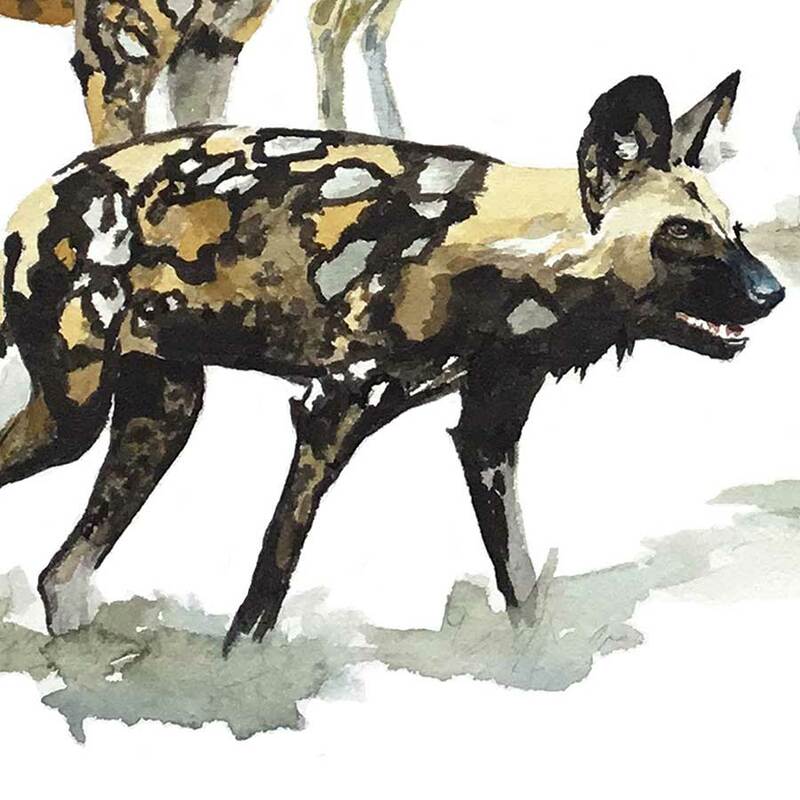 Wild dogs are considered to be the most efficient hunters of all predators. Hunting in well-organised packs, they are therefore much more likely to hunt with success. 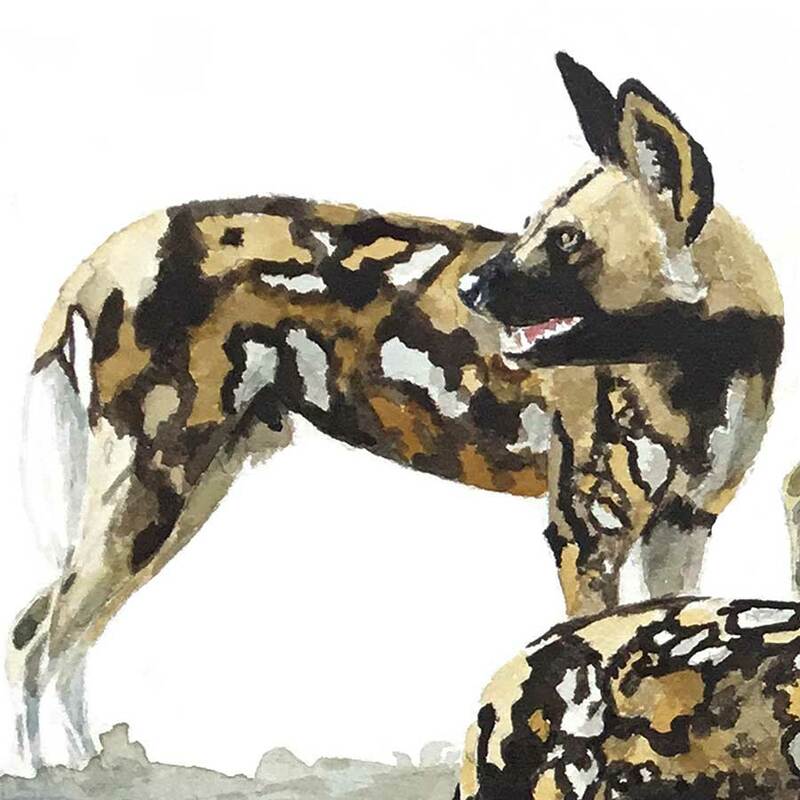 Wild dogs are often called “painted dogs”. 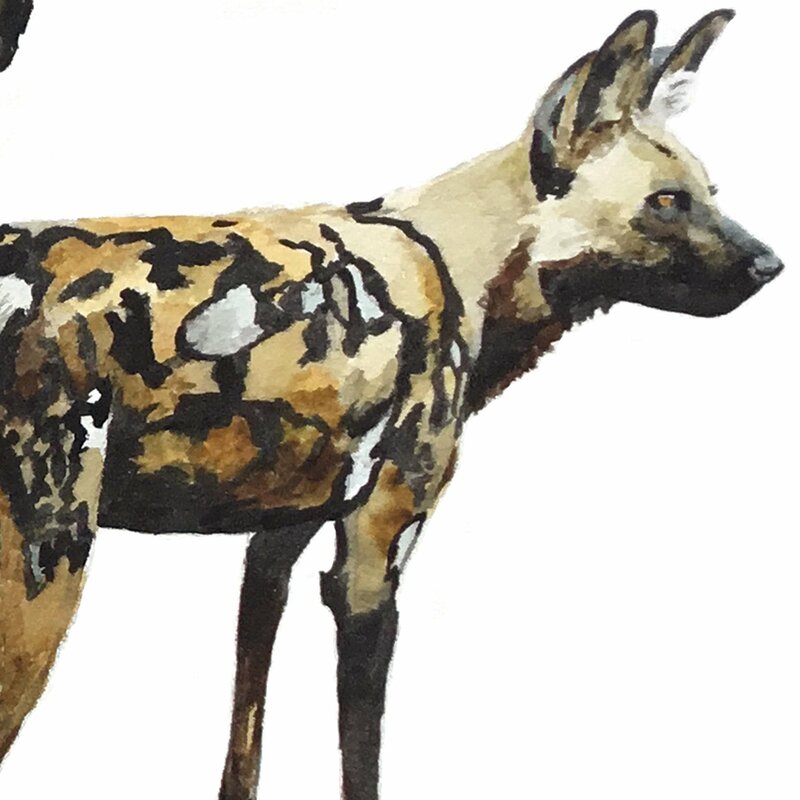 As a result, animal artists often enjoy painting them. 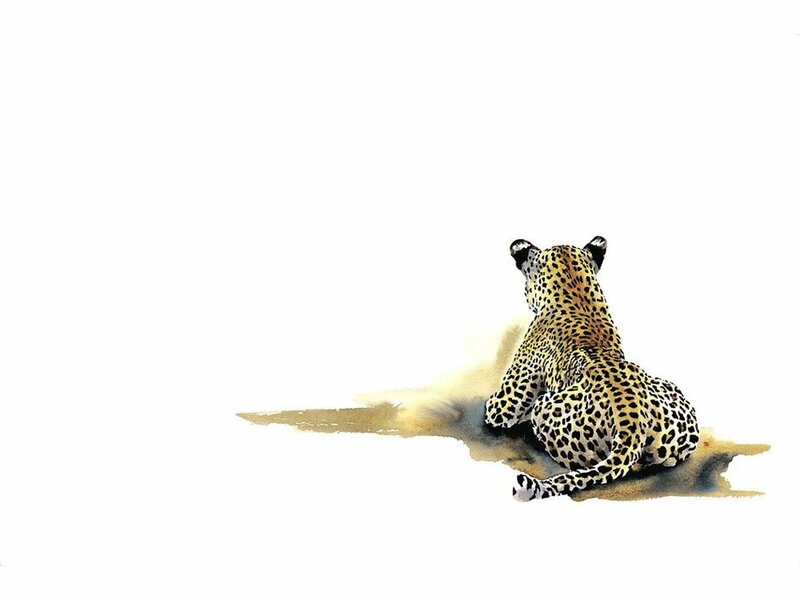 Animal art prints are available on canvas or paper. Likewise, they can be ordered in different sizes. 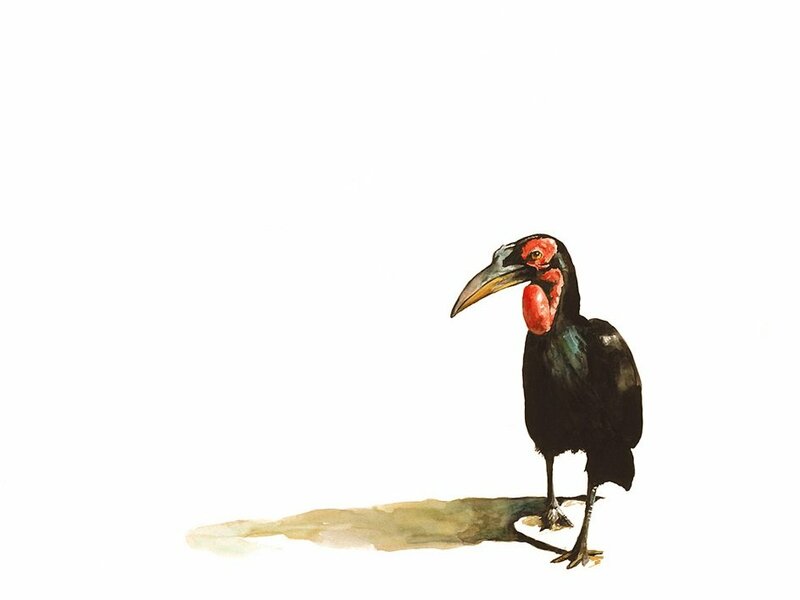 Consequently, you can order these wildlife fine art prints to suit your specific needs. Buy yours now.